ハッピーTips☆【自己管理(セルフケア)・12のステップ】(Private) : Happy Aging & Beautiful Anti Aging loving. 1.If it feels wrong,don't do it. 3.Don't be a people pleaser. 5.Never speak bad about yourself. 6.Never give up on your dreams. 7.Don't be afraid to say"No". 8.Don't be afraid to say"Yes". 10.Let go of what you can't control. 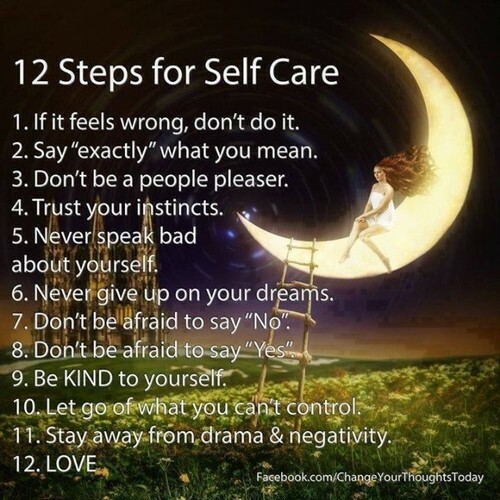 11.Stay away from drama & nedativity.